Royal Caribbean Cruises Ltd. plans to sell the 1,814-passenger Celebrity Century, to a Chinese travel company called Ctrip. 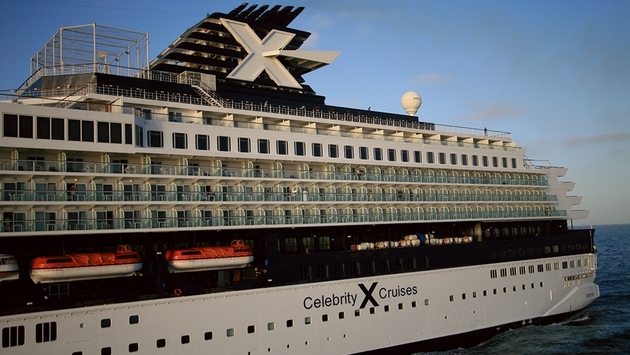 The 1995-built vessel will leave the Celebrity Cruises fleet in April. Celebrity previously announced that the Century would leave its fleet in April and scheduled several farewell cruises, including one with President and CEO Michael Bayley. It appeared to be headed for RCCL’s French cruise line, CDF Croisières de France, but now is off to Asia. China clearly is a hot market. Royal Caribbean International earlier this year revealed plans to move its highly anticipated new ship, the 4,180-passenger, 167,800-ton Quantum of the Seas, to Shanghai, China, in April, about six months after it begins sailing from Bayonne, N.J. Rival Carnival Corp. plans to deploy one Princess and three Costa ships in Shanghai in 2015, increasing its capacity in China by 140 percent from 2013. 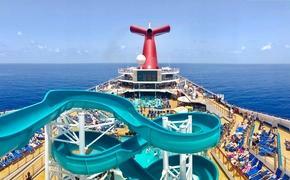 RELATED: Is China the New Epicenter of the Cruise Industry? Before it enters the China market, the Century will be renovated “to provide an outstanding cruise experience to China’s leisure travelers,” Min Fan said. The Century was the first in Celebrity’s Century-class of ships and was hailed as a modern, beautiful ship when it was introduced. It gained positive attention for its cutting-edge art collection, ice-topped martini bar and an alternative restaurant with tableside preparation. Other members of the Century class have already left the fleet — the Galaxy and Mercury now operate for TUI Cruises, an RCCL joint venture with German travel company TUI AG. Farley also again noted the significance of the growing Chinese cruise market as a “positive trend” for the industry, adding that "we wouldn't be surprised to see more asset sales to China over time." “Given the long-term potential for China to be a major force in the cruising market, much as it has in the lodging industry (where China is now the second biggest market for Marriott outside of the U.S.), we believe the emergence of China as a major sourcing market can provide new demand for tonnage that can be redeployed from more mature markets like North America, which could also potentially drive pricing in that existing market as tonnage goes to emerging markets, a benefit unique to the cruise market, as hotel supply cannot be ‘redeployed,’ ” Farley wrote. The Century’s final voyage for Celebrity will be its March 22 itinerary. The 15-night Dubai-to-Rome sailing on April 5 is being redeployed to a 14-night sailing from Dubai to Singapore. Guests booked on the voyage can cancel for a full refund or move to an alternative sailing with an onboard credit and compensation to cover air change fees. Celebrity said it is contacting those guests, although they and their travel agents can 888-283-7275 with questions. Celebrity Century joined the Celebrity fleet in December 1995. The 71,545-ton ship was built by Meyer Werft in Papenburg, Germany. Ctrip.com International Ltd. is a provider of accommodation reservations, transportation ticketing, packaged tours and corporate travel management in China. Shanghai-based Ctrip also books vacation packages and guided tours. Since its inception in 1999, Ctrip has grown substantially and is a well-known travel brand in China.